Let me tell you a quick story. At the All Star game in New Orleans a few years ago. Kawhi and his people are at the hotel, which is 3 blocks away from the arena. So the Spurs are like, the security people are like, ‘We need to get you out at this time for us to be able to make it to the game on time, because it’s gonna take 3 hours to get 3 blocks, basically.’ Kawhi’s people, namely Uncle Dennis, said, ‘No, we’re not doing that because the Spurs are trying to control this situation, this is what we’re going to do,’ So they decide to leave when Uncle Dennis decides to go and they get stuck in traffic!….You know what ended up happening? These guys ended up paying the hotel to hold the car and they walked, through Mardi Gras crowds, to the arena. They had Kawhi put his hood up and they walked through those crowds to the arena. Which brings us to the injury itself and the rehabilitation process. 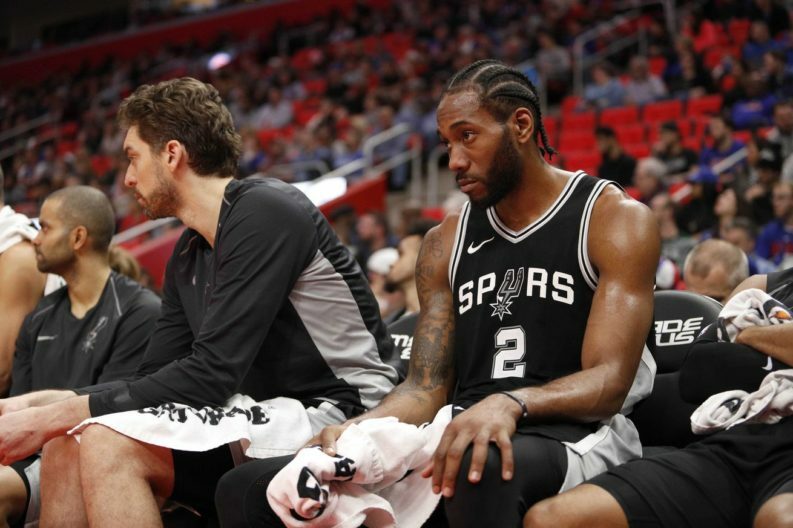 According to Wright, the Spurs handed over control of Kawhi’s injury to his group back in August of last season when Leonard complained of pain from the rehabilitation exercises that the Spurs were putting him through to treat his quad. While it was reported at various points throughout the season that Spurs’ doctors were with Kawhi in New York during his rehab process, it appears that they had no input whatsoever on the treatment that Kawhi’s doctors were putting him through, which is when we can slot the story of Kawhi’s people moving him to a different part of the building when Spurs’ brass arrived. This would appear to confirm that the Spurs have yet to even offer the super max extension, acknowledging that it is a massive gamble to give up that much money and cap space on a player and his group that seemingly has become unpredictable and unhinged. In the end, Wright believes the Spurs are at a point where they will do what is best for them, not for Kawhi. Much like this entire drama has been all year though, do not expect a timetable to lay it all out for us.